As always, the IronPigs serve at the pleasure of the Phillies. 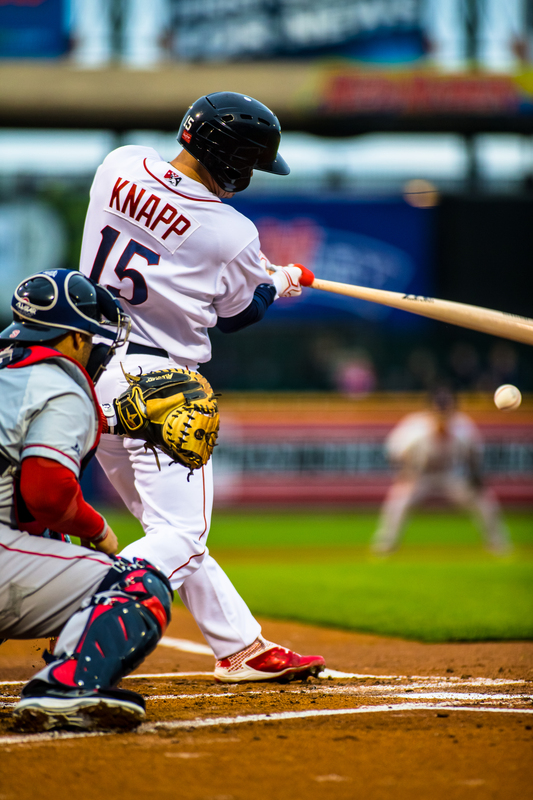 Most seasons, the IronPigs roster gets constructed by mashing together a group of minor league free agents, 40-man spare parts, and a dash of prospects. We’ve talked about it already, this season, the prospects make up the majority of the players expected to suit up for the 2017 AAA Phillies. They have work to do until they can force their way onto the big club. In some cases it may be quick, and others they may have to await MLB outcomes (good=trade; bad=cut; injured=out) at the Major League level until they can get their (next) opportunity. As the Phillies make their final decisions on bench spots, keep in mind that they have very little flexibility with regard to their 40-man roster. They have protected a slew of young talent in order to avoid losing players to the Rule 5 draft; however, now should they try to remove those players from the 40-man they don’t need to be protected by another team’s 25-man MLB roster, just the 40–and with a full complement of options to boot. Any team with a little space on their 40-man could potentially grab a pretty good prospect for nothing more than a waiver claim. It’s how the Phillies got Taylor Featherston last season as the Angels tried to sneak him off their 40, for example. Another example, do you really want another team grabbing a guy like Tyler Goeddel and then immediately optioning him to AA or AAA for free? And you want to allow that so that you can keep some journeyman reliever or sub-Mendoza hitting bench guy? INF/OF Chris Coghlan: He was brought in with the idea that he could back up multiple positions and serve as an extra bat off the bench. He’s a veteran leader. But do the Phillies really want to chuck a prospect for this veteran slash line, who has no chance of long-term contribution: .188/.290/.318 ? I don’t care how many positions he can play. Maybe not. 1B/LF Brock Stassi: We love Brock, and he’s been hitting the cover off the ball. He’s adding left field to his repertoire in order to add flexibility. But at his age to the Phillies want to sacrifice the future for a short-term experiment on small-sample-size bat? If Tommy Joseph is still nicked up, this may indeed be something they choose. OF Daniel Nava: IronPigs fans remember plenty of Nava from his time with P’tucket. He’s also hitting the ball well, and in camp on a minor league deal. He’s in competition with Coghlan and Stassi for that bench spot. C Ryan Hanigan and C Bryan Holaday: Veteran catching depth on MiLB deals. I don’t have a strong feeling about either of them. LHP Sean Burnett and LHP Cesar Ramos: Both were brought in as free agents on MiLB deals with Major League camp invitations. Neither have been particularly impressive thus far this Spring. Both would require a 40-man spot in order to make the 25-man roster. The Phillies are short on Lefty reliever arms as it seems Joely Rodriguez and Adam Morgan are the only options currently on the 40. Neither Burnett (34.5yo) nor C. Ramos (almost 33yo) are long-term solutions in the bullpen. RHP/LHP Pat Venditte: Enter ambidextrous switch-pitcher Venditte, whom we’ve seen plenty of with Scranton and Buffalo. The Phillies received him–on a minor league deal from Seattle–for a single-A outfielder. The Phillies might be interested in his left arm more than his right. So how will this all shake out? Let’s look at the 40, and let’s assume that the Phillies, for depth reasons and for prospect reasons, want to keep as many players as possible, and don’t want to be forced into decisions until it’s completely necessary. Adam Morgan, Andrew Knapp, and Jesmuel Valentin make the Phillies out of camp because they already have 40-man spots and can play a needed role on the MLB roster as the season begins. Some time over the weekend of March 24-26 the following players are said to have opt-out ability: Coghlan, Burnett, and C. Ramos. Rather than be forced to sign them to the 40-man, I believe the Phillies may allow them to walk, should they choose, rather than take up a spot with the IronPigs–a spot which may not even be available. The exception here is Coghlan, who may be given a 40-man spot at the expense of RP Luis Garcia who doesn’t have an option left, anyway. This allows them to keep both him and Nava, and Stassi, who are all in the running for that spot but with Stassi and Nava–not to mention Perkins–under control for now. Useful players still under MiLB contract control will get stashed with the IronPigs one way or another: Stassi does not have any opt-out ability, Nava is said to have a June opt-out, and either Holaday or Hanigan may remain under control in the minors, at least initially. Remember that the season is not a sprint, it’s a marathon. Some or all of these guys may find their way back to the big club soon enough when a spot opens up via injury or trade or release. I’ve got all the 40-man dudes in Philly, as I said: Knapp, Valentin, Morgan. If he doesn’t get claimed, then Garcia may find his way back to the IronPigs in spot 25 above if he accepts his outright assignment to Allentown. Venditte serves as LHP depth in Allentown as Joely and Morgan fill the role in Philadelphia with the likely possibility that both C. Ramos and Burnett opt out next weekend. OF Tyler Goeddel, who got a red-shirt year in the Majors last year as a rule-5 add, retains his 40-man spot but starts in Reading initially. Stassi gets to DH, some time in LF, and chills with Nava and Perkins who will also hang out until needed, splitting DH duties and looking for opportunities to play. Given a tincture of time, Nava might then be granted his release if he’s not seeing the field enough and doesn’t have a clear path to the majors, a la JP Arencibia last season.